1.47.0 Added ability to work in portable mode. 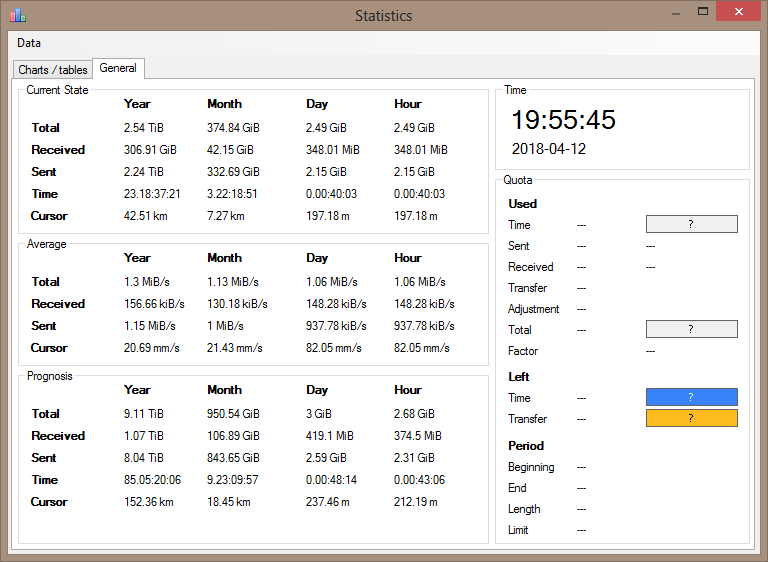 NetTraffic is portable and stealth- data and settings are saved in Data sub-folder inside program folder. The program is robust and starts fast. Windows: all (32-bit and 64-bit). 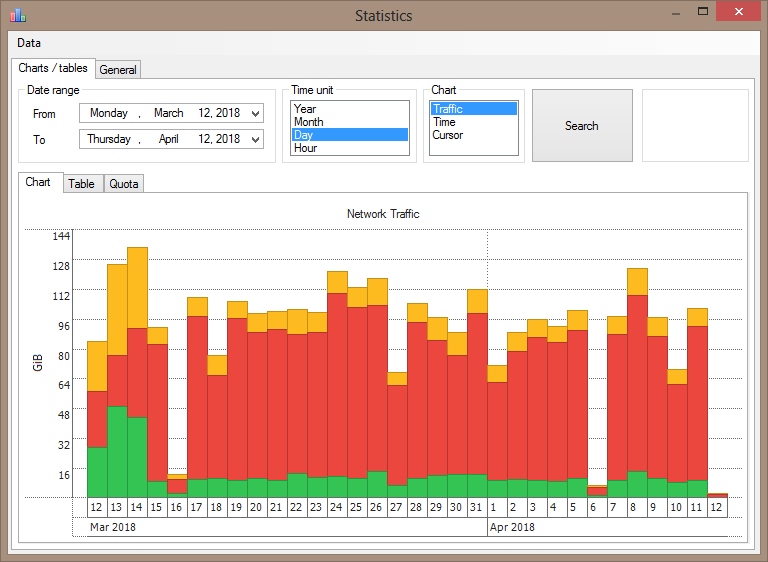 NetTraffic is a worthy alternative to now commercial NetWorx. I think that NetTraffic should be in the database. 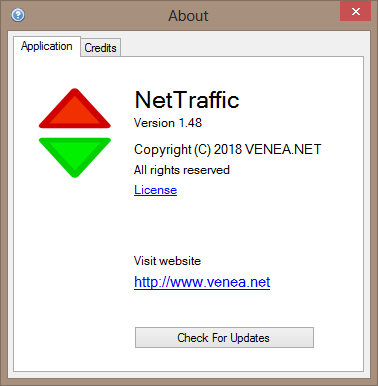 Downloading NetTraffic via download managers may result in corrupted downloads, I recommend downloading it via browser. Please move this thread to Portable Freeware Submission forum. Agreed. Thanks for rechecking the software. I voted, thank you for adding NetTraffic to the database. Oh yeah this is great. 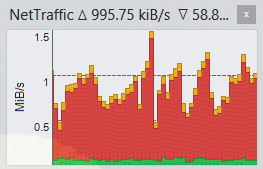 I have a bunch of junk running in the background and I *need* to know when I'm hitting the top end of my bandwidth. 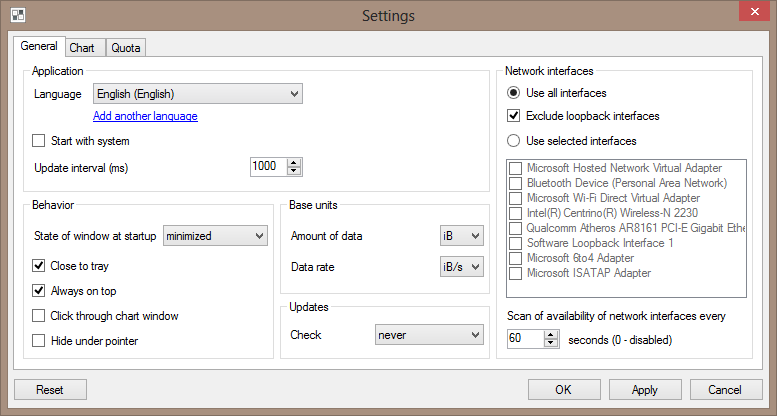 I strongly recommend turning off the automatic "scale maximum of data rate" since the program auto adjusts its view to high or low bandwidth usage. However, if I'm not transmitting anything I really just want a bunch of tiny bumps at the bottom of the window (or emptiness). Thanks to billon for adding it to the database. * Optionally auto-adjust to the upper cap of available speed but remain there stay there (i.e. 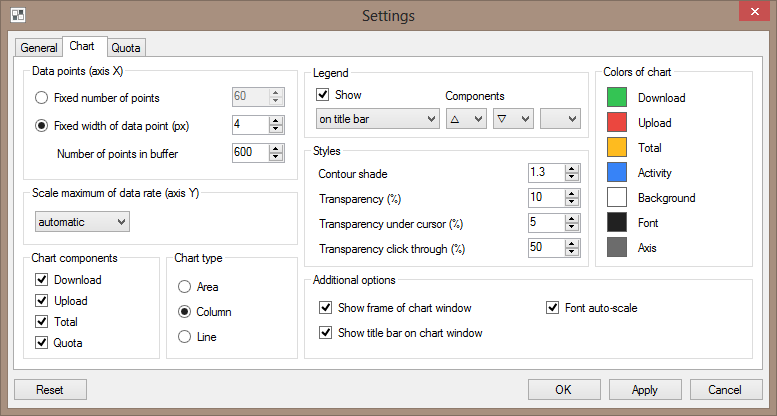 expand the view to contain more data but never shrink down). Looks good. 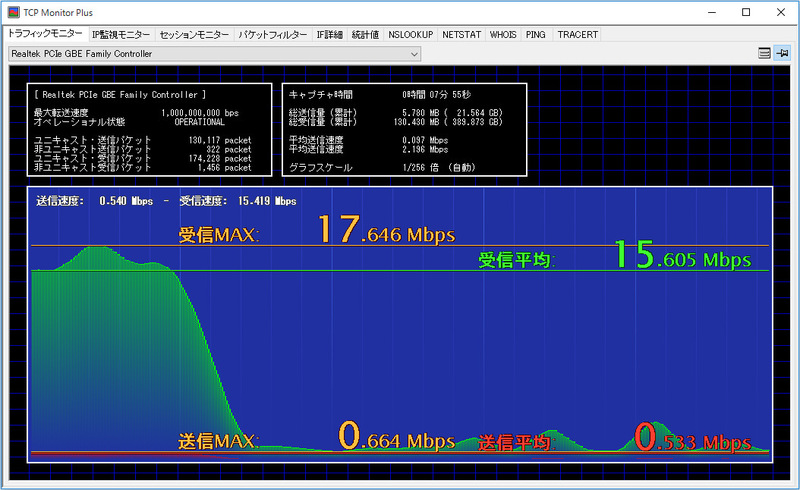 Particularly like that you can select the interface to display bandwidth from. I am Baas submitted TCP Monitor Plus to the forum long ago, in fact you commented it two times . Well that's weird. I originally thought I'd discovered it here but when searching the DB it displayed the error of no results found. Yet searching again now it does show as a forum topic result. I guess my thought of submitting it must have been mixed with some other program I thought similarly about. I originally thought I'd discovered it here but when searching the DB it displayed the error of no results found. Yet searching again now it does show as a forum topic result. The site search program is unfortunately a little behind in terms of modern search engines so I've had a lot of similar issues. Still it has it's uses as I can usually find what I"m looking for (assuming I spell it right). Such a small thing but I think that's awesome. Great addition. Will likely have this running on one of my machines who's network status is often suspect. ...Will likely have this running on one of my machines who's network status is often suspect. Will likely have this running on one of my machines who's network status is often suspect. * In trying to maximize power on a laptop, keep transfers to an absolute minimum. 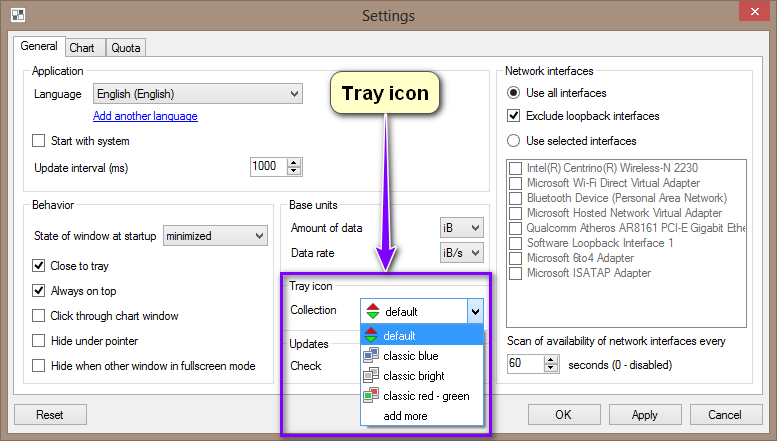 I check both the taskbar icon and the small window view frequently. It's been a long time since a portable program came along that's going to be part of my standard setup. Great add.